Good Morning to All of you & Happy Saturday! This morning I woke up and my first thought was I won’t be sleeping in my own bed for the next week. I won’t be home for most of it. I’ll be out of my comfort zone of writing from my own bedroom. Heck, I knew this upcoming week was coming, and now it’s here. It’s the strangest thing, but I really never gave it much thought that I was not going to be here especially in the evening and morning hours until I had woke up this morning. I’ll be staying at my roommate’s, sister’s home to take care of their dog Jack, and watching over their home while all of them are all leaving to go up to Lake George to go camping. I certainly don’t mind helping them in the very least, and I look forward to the quiet of this upcoming week, but not having my own bed is kinda freaking me out. I did my morning meditation for relaxation, and I’m sure after they leave this evening, I’ll be doing it again. I’m just praying my insomnia doesn’t kick into high gear this week. I’m also hoping that my anxiety keeps at bay with all the driving I’ll be doing back and forth between my house and theirs by taking care of all the pets and such. 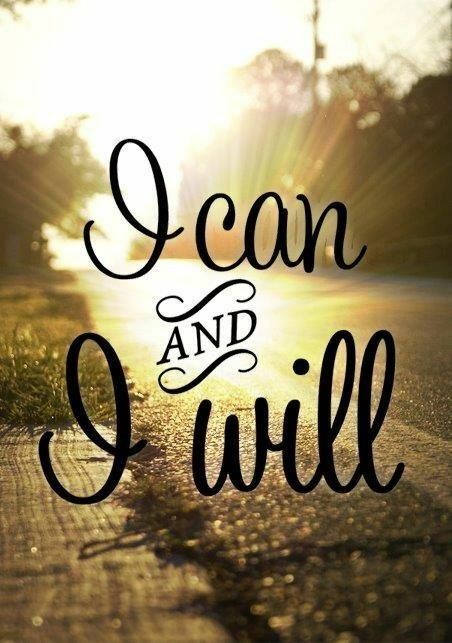 This weeks mantra will be “I can and I will” will be repeated all week long. One awesome factor in all of this is that I get to see my psychiatrist this Tuesday, and at least get my medication for sleep. That will at least assist me a great deal. Plus my dear friend JT will be coming over one or two nights to hang out and BBQ and watch Youtube videos. “I can and I will” get through this week. I pretty much don’t have a choice now. LOL! Thank goodness I’ll have my laptop with me, and I can at least keep blogging and reading. That in itself is a comfort to me. Well, I guess it’s time for me to get organized and start packing stuff. Heck, I still have to wake up my roommate, because I’m sure she hasn’t even started packing for her week away. I really do hope she has a good time with her family. She is in such need of a break after this year being so rough on her with all the health scares and surgeries. Okay… now I’m just rambling, Hahahaa! Gotta go for now. Question: Do you ever get nervous about going away, and/or sleeping somewhere you never have? Or better yet, do you get nervous about leaving your comfort zone? To answer your question. Yes, a mixture of nervous and excited. Yeah… It’s a mix of stuff. If I were going to a hotel maybe I wouldn’t feel this way, but maybe it’s because I’m staying a someone else’s home I feel this way. You’re affirmation is just what I needed to read this morning. I’ve had other anxieties recently and find myself needing to make some very big life altering decisions. I’m saying my prayers and trying to listen to my gut and hoping I make the right choice. I can and I will. I needed that! Thank you!